Michele will be the last to admit it; but for more than 25 years, Michele has been serving individuals, couples and families, finding places to call home. 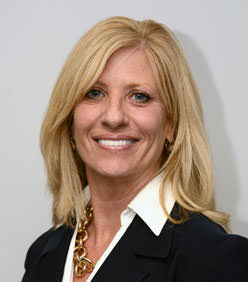 Winning numerous sales awards, including Westchester Putnam Association of Realtors prestigious Diamond Award for Excellence in Sales, Michele over her career has procured over 500 Cooperative and Condominium sales in addition to countless single to multi-family home transactions. For me it's all about customer service which leads to repeat business. When former customers call asking me to find them a new home because their needs have changed and also wants me to sell the home I found them years before, it's a rewarding feeling. I wanted to extend my thoughts on how lucky I was to have worked with Michele Devito on the sale of my 39 Wall Ave Valhalla home. Michele always made me feel like a priority to her. I must have asked her a million questions and each time I spoke to her she reassured me about the process. She continually went above and beyond her duties from the amazing and perfect pictures she took of my home right through to holding my hand during the closing as I handed off my first home to its new owners. Her professionalism and grace, extreme patience and abundant knowledge made this an incredibly enjoyable experience. I couldn't have been in better hands and would be honored to serve as a reference for any prospective customers. My husband and I have worked with Michelle Devito for the past 5 years. Whether it be purchasing property or renting, Michelle always comes through. Her experience is invaluable and very consistent. I would highly recommend Michelle Devito. Michele is an absolute pleasure to work with. She is very knowledgable of the market, caring and honest. My house was only on the market for 9 day before we received an offer! There is so many positive things I would like to say about you. I tried my best to condense it into a few words. Here it is: Dependable, efficient and knowledgeable, are only a few words to describe Michele. If you have a real estate need Michele is right on it. She works tirelessly to meet the needs of her clients. I have had the privilege of doing business with Michele over the past six years and I consider her gold. My experience with Michele was fantastic! She is trustworthy, a true professional and knows this business very well. It's was important for Michele to get to know me as well as my daughter, so she would know what properties to show us. Michele is very honest and looked out for our best interest. No matter how many times I called her or texted her, she was there for me. Michele made me feel comfortable and made my experience looking for a home the best. If your looking for a new home and want a really special person to walk through that journey with you, give Michele a call. Michelle is a wonderful professional. Her customer service is superb. I never had to worry about small details or issues. She sold my home in two months and I was able to purchase a condo shortly after that. She was Always available any time of day or night to answer or help with any concerns I had. Her personality is upbeat and she handles herself beautifully and with confidence in dealing with other realtors. Anyone would be fortunate to have her as a partner in finding the right place to move or to buy. She is confidential and supportive and always presents herself looking poised and energetic ready to go to work!! THE DREAM TEAM! My husband and I met Michele Devitto at an open house. During the open house we mentioned to Michele that we were just looking at the moment in order to get a feel for what’s out on the market. Usually, when we mention that "we are just looking" to any agent or mortgage broker they tend to not want to help us further. Michele, however, was the complete opposite and seemed eager to guide us through the process of searching for a home when ever we were ready. A few months later (maybe 6 months) we were ready to officially start looking for a home. Michele was available to meet with us to view properties (Coops and houses). Whether some of the properties were a waste of time or not, she never rushed or deterred us away from anything we were interested in viewing. She was always looking out for our best interest. During this process we decided we were interested in looking at coops instead of houses. Michele switch gears and spent time with us viewing different coops in the location we desired. Upon finally selecting the one we would go forward with Michele worked non-stop to make sure our offer was submitted and eventually accepted. Michele walked us through every step of the process up until the closing date. Michele went above and beyond and at times did the work of the seller’s broker who conveniently was nowhere to be found after our offer was accepted. She was beyond professional and her service was outstanding! She was the whole package! We recommend Michele DeVitto as an agent to purchase or sell a house/Coop. She is the most knowledgeable in dealing with any type of property. At times when we had endless amounts of questions she was very patient and had an answer for everything. Michelle made this process a breeze. We could not have had this type of service with anyone else. She gave us the time of day when no one else took us seriously. We look forward to working with Michele in the future.